HTC is getting baited by Apple lawyers again and its call for help from Google has been refused by a judge. Apple is still very much on the patent war path, with several well documented cases popping up around the world. 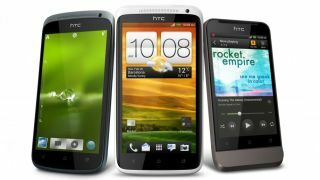 The two companies have seen a lot of each other recently, as Apple attempted to get the HTC One X and Evo 4G LTE banned in the US, and then trying to get 29 HTC devices blocked. In an attempt to add some weight to its defence in this latest case, HTC tried to use Google patents which it had borrowed to challenge Apple. However ITC Judge Thomas Pender ruled that HTC couldn't make this play, as it hadn't acquired the correct rights to use the patents. The upshot from this is that five patents HTC was trying to use against Apple have now been thrown out, which could seriously wound the Taiwanese firm and see the Cupertino-based company score another legal win. However, three patents HTC is alleging Apple has infringed are still valid, so it seems, yet again, litigation is about to rumble on.